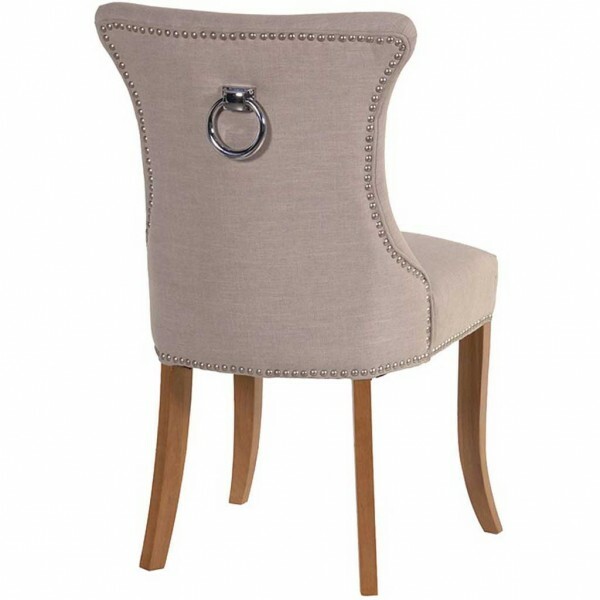 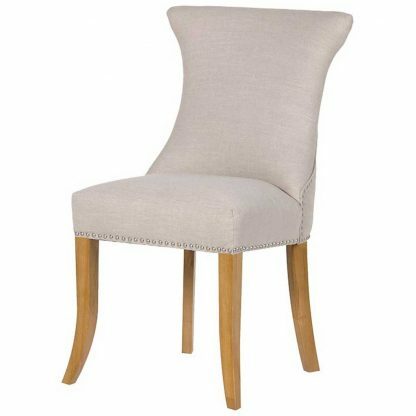 Stylish beige dining chair with ring back. This chair has great charm and character, made with a solid oak frame and upholstered in a quality ivory fabric with brass stud detail and a metal ring pull to the back of the chair. 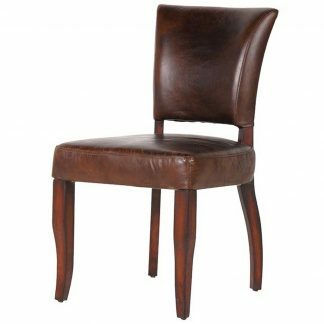 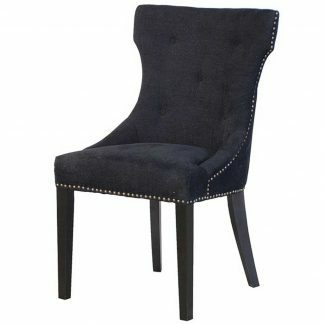 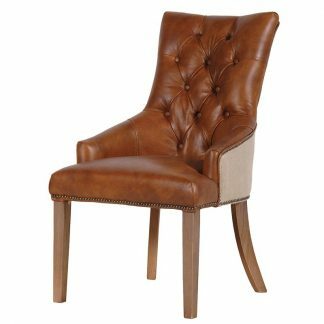 The perfect dining chair for modern and traditional spaces.